Do you have the power to get things done? Your ability to lead and influence others is based on your power. Power is a complex combination of one's knowledge, expressiveness, history, character, and attraction, as well as one's resources, position, network, and reputation. Understanding the sources of power and knowing how to amass it is the ultimate key to success. 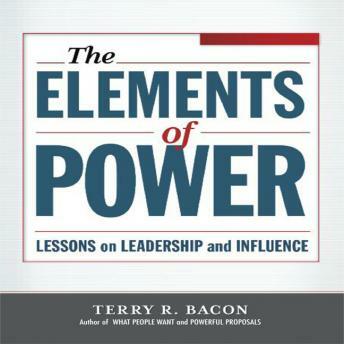 Drawn from groundbreaking research on the very nature of power, The Elements of Power examines how people use and lose power, how power works in organizations, and the relationship between power and leadership. Complete with a handy self-assessment, this fascinating book is an essential tool you can leverage to motivate, influence, and inspire others, and to achieve greatness in every realm of your life.